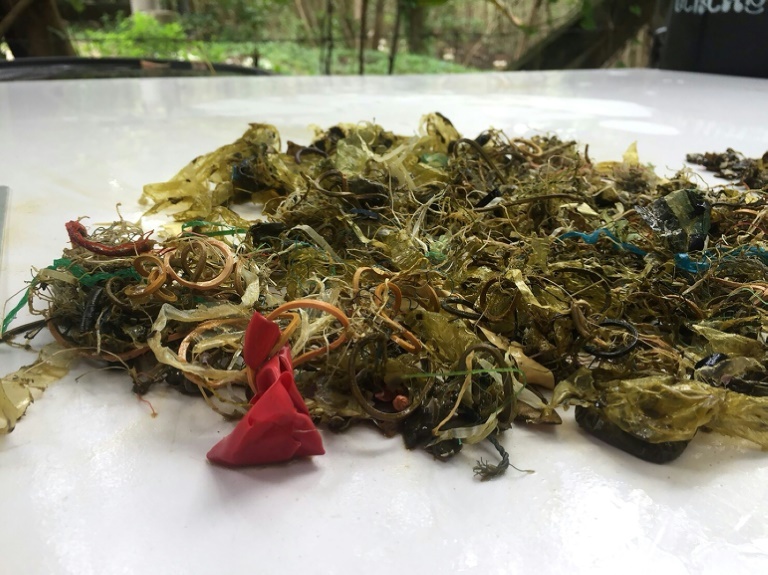 Startling images of plastic shreds, rubber bands and other debris found jammed in the stomach of a green turtle in Thailand have highlighted the crisis of waste-strewn seas following the widely publicised death of a whale this month. Thailand is one of the world’s largest consumers of plastic, which kills hundreds of marine mammals and reptiles swimming off its coasts every year. The problem grabbed public attention in the first week of June when an autopsy of a dead pilot whale found near the border with Malaysia revealed 80 plastic bags inside its stomach. 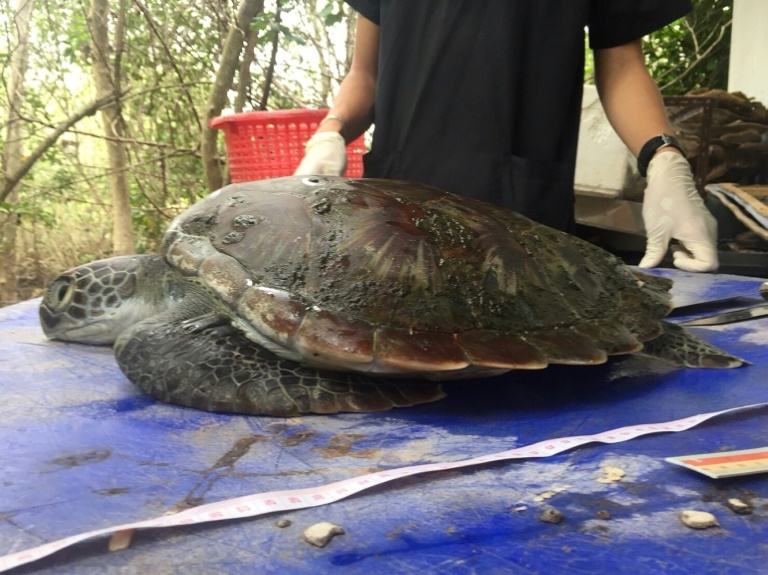 The green turtle, a protected species, suffered a similar fate after washing up on a beach in the eastern province of Chanthaburi on June 4, Weerapong Laovechprasit, a veterinarian at the Eastern Marine and Coastal Resource Research and Development Centre, told AFP. Plastic, rubber bands, pieces of balloons and other rubbish had filled the turtle’s intestinal tract, leaving it unable to eat and causing its death two days later. Veterinarians discovered the blockage using X-rays and tried to save the turtle by feeding it intravenously, but were only able to extract the garbage after its death. Weerapong said that in the past about 10 percent of the green turtles stranded on beaches in the area had ingested plastic or suffered infections after coming into contact with the waste, but this year about 50 percent of the incidents were trash-related. More than half of the eight million tonnes of plastic waste dumped into the world’s oceans every year comes from five Asian countries: China, Indonesia, the Philippines, Vietnam and Thailand, according to a 2015 Ocean Conservancy report.